Situated in London Bridge, this Bankside Apartment sure has location on its side. 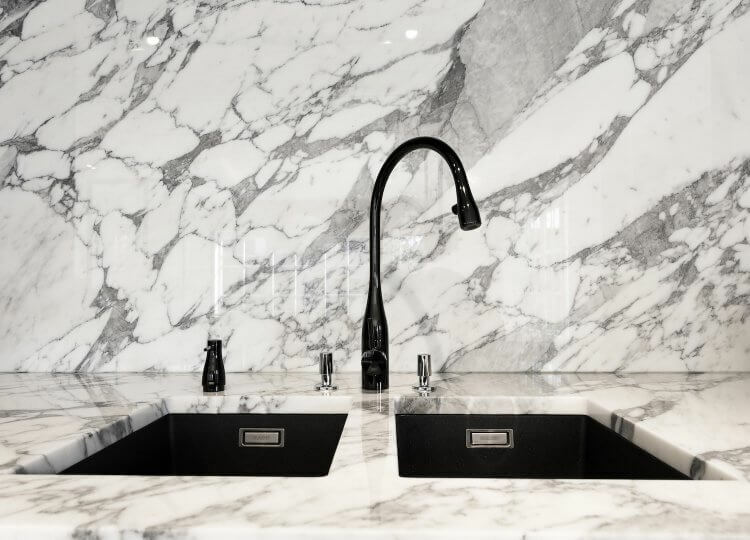 But it wasn’t that location that really struck a chord for us at est — more impressive is the expert overhaul the heritage apartment demanded and the team at HASA Architects delivered. 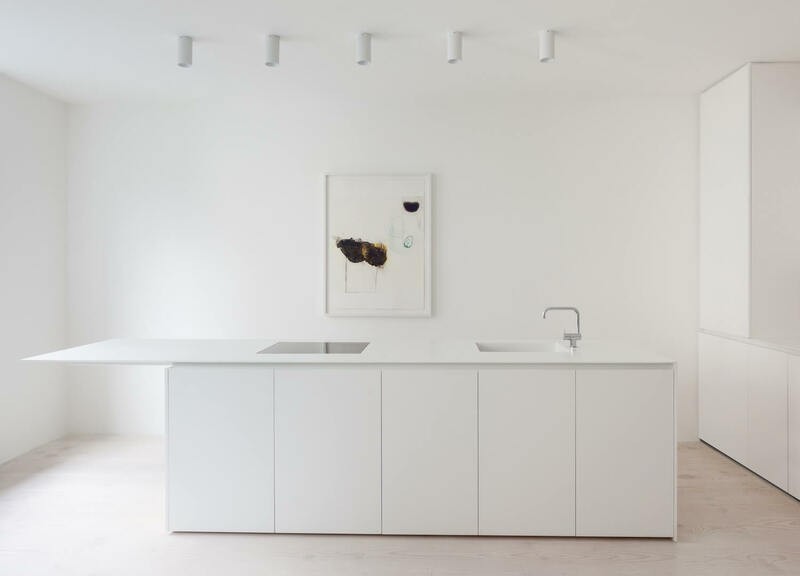 The London practice have explored the possibilities of a second-storey Edwardian terrace, effortlessly emitting the modern and minimal. It wasn’t the first time someone had laid hands on the terrace, which had initially been converted from an office space to a private residence. Altered and extended in the process, the resulting layout was dark and segmented. But from an unwelcoming facade HASA Architects erased all dividing walls for a visually connected open-plan layout. 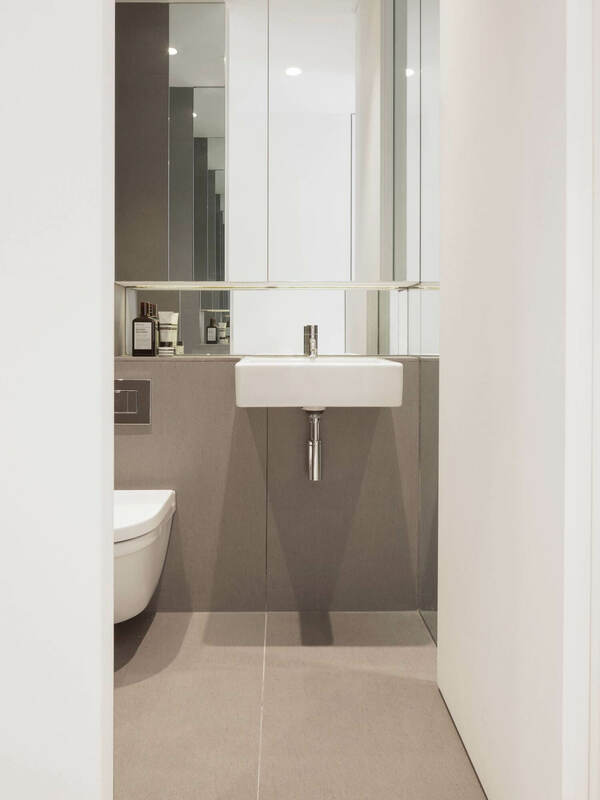 Vertical panels create new spaces, optimised by full-height hinged doors that are easily concealed by folding back into the walls, while working-space and storage form sculptural boxes that enclose the bathroom. It’s this innovation and precision that delivers a generous sense of space, allowing areas to be changed to suit the occupant’s needs. 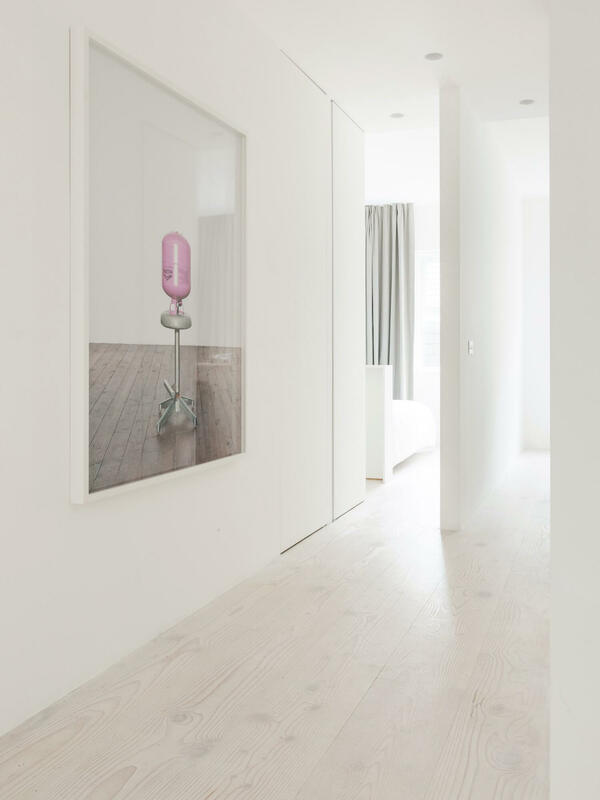 At est we see thoughtful design transparent in a home’s purpose and feeling, and this couldn’t be more apparent in this London apartment. 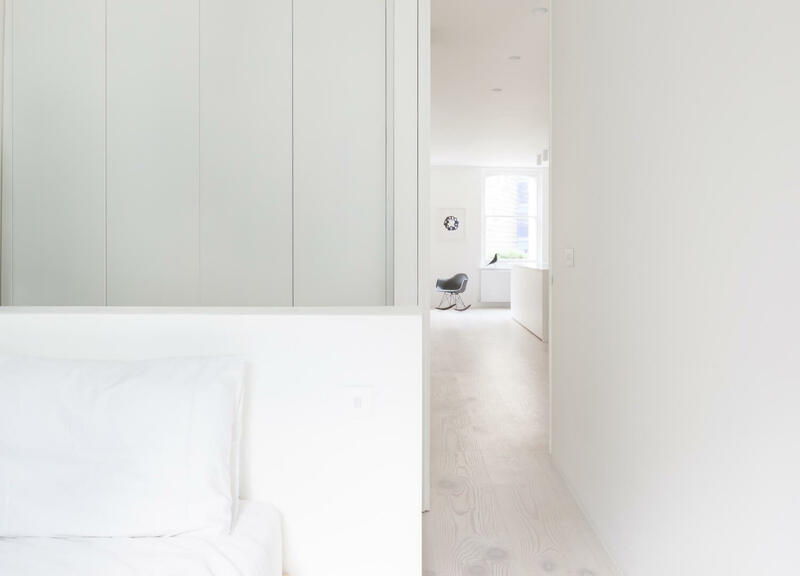 When designing the bedrooms, HASA Architects have considered exactly what is necessary — storage, dressing and sleeping — and orientated them towards the small terrace opening. 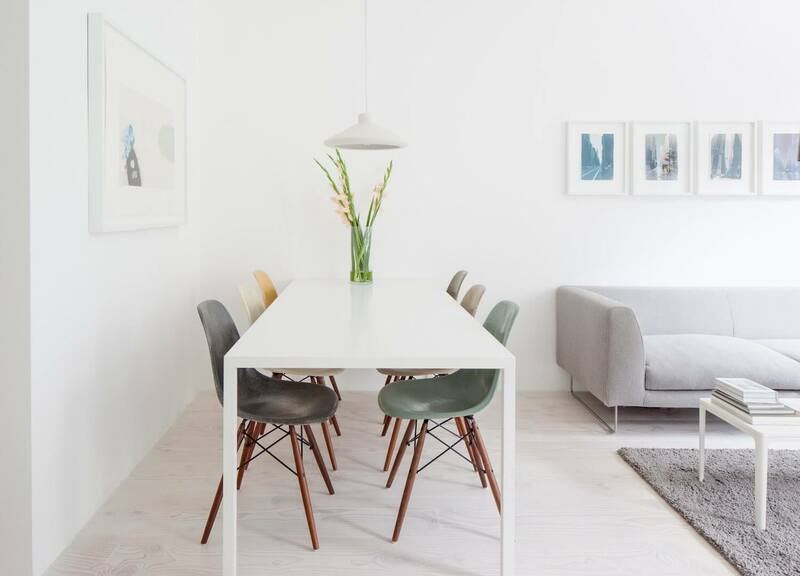 The White Douglas Fir floorboards meld with the white walls to create a white ‘box’ effect that feels far removed from the busy urban setting. 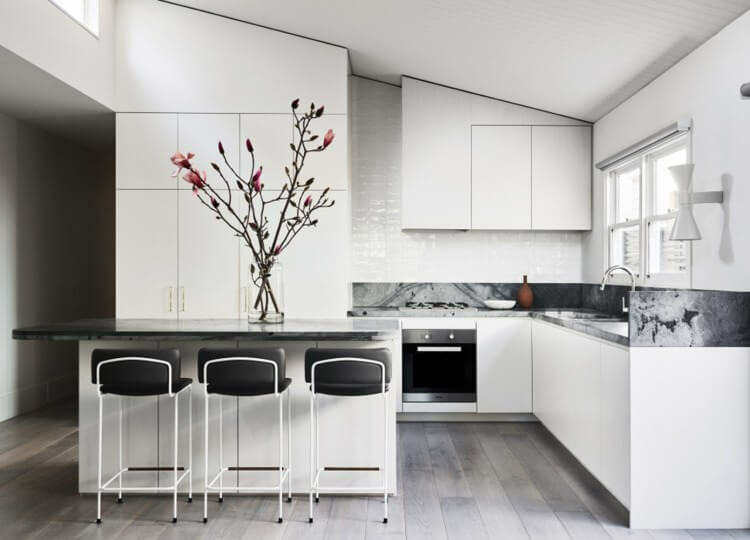 In the shared space, the island bench neatly aligns the kitchen and living areas under sculptural lighting. 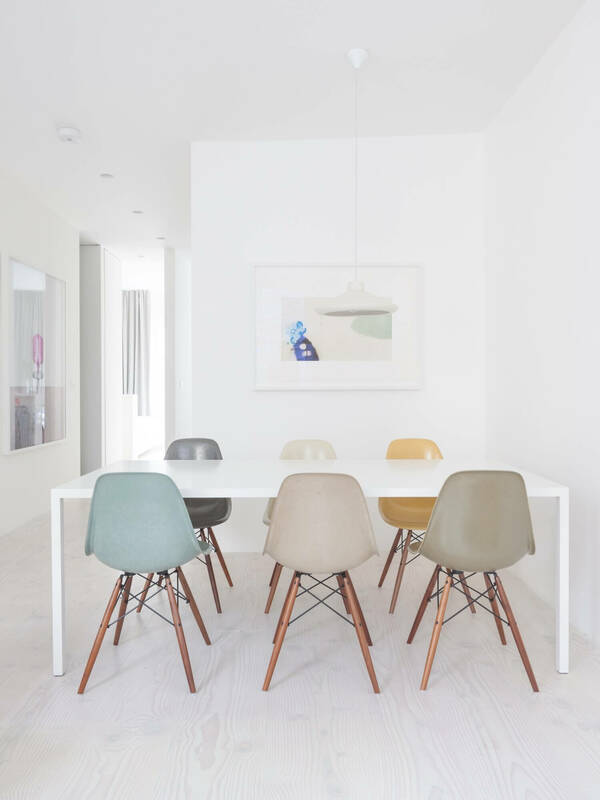 The dining chairs are a sprinkle of colour, as though spilled from a vintage box of crayons onto paper, complemented by dreamy prints. Through these subtle hints of colour and curiosity, HASA Architects encourage the mind to wander. The Basalt-finished bathroom is a dramatic contrast to every other space; the volcanic rock adhering to a sense of calm and intimacy. 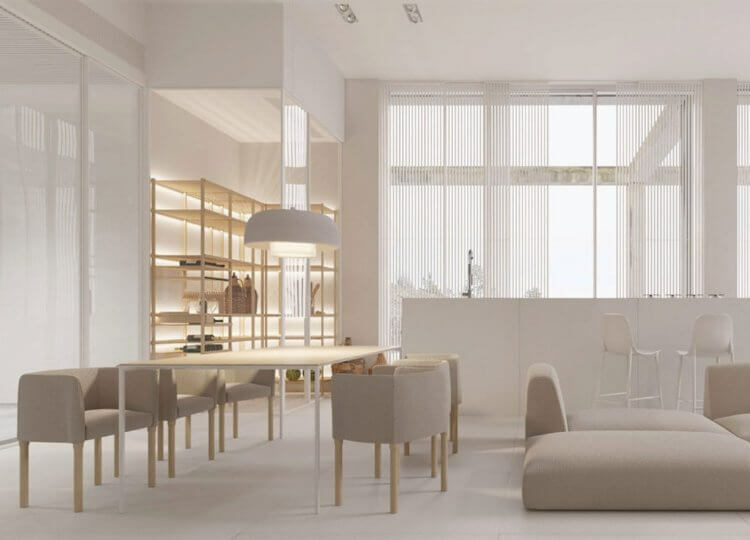 The apartment is contemporary minimalism in every sense, embodying the perfect city dwelling for taking time-out. 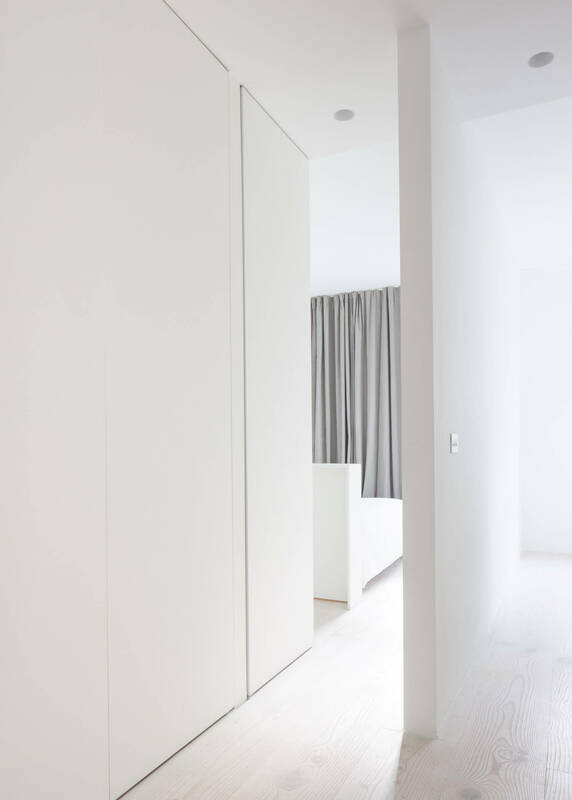 Inside London’s Bankside apartment, minimalist design has mastered simplicity and light. 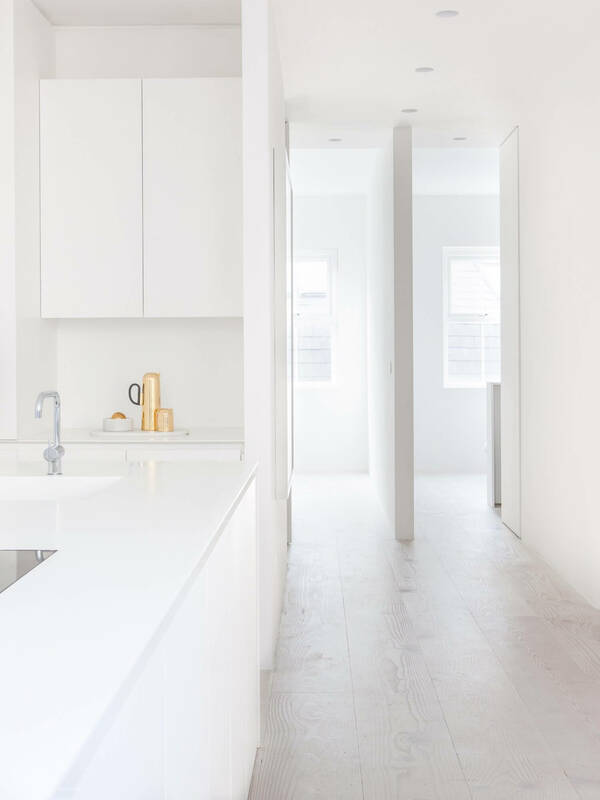 HASA Architects have hit the mark with meditative spaces on all-white foundations, cleverly avoiding the path of sterile and stark to debut a terrace that feels far bigger than its square count.